Back in October of last year, we talked about how Bandai Namco was all set to bring on the arcade gaming experience with the big Star Wars: Battle Pod system. Well, this time around, retro gaming is once again done right, albeit in a more manageable scale. To that end, VoxMachina has designed a nifty prototype console christened as the Star Force Pi: STORMTROOPER – fueled by the processing power of Raspberry Pi. 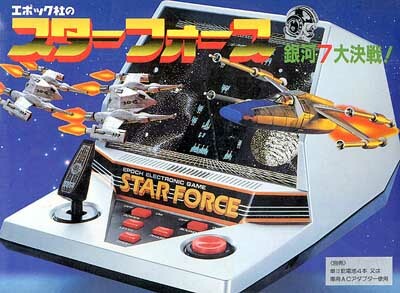 But beyond what is ‘under the hood’, this bantam device is based on a pre-NES Grandstand Starforce Electric Tabletop Game System (see this image) that was originally released in 1984. 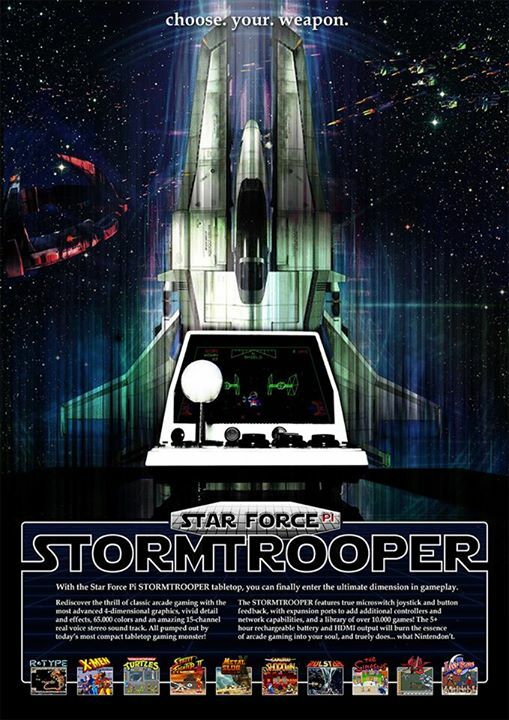 In terms of the goodies, the Star Force Pi: STORMTROOPER has more than 10,000 games (with its ability to emulate SNES, Genesis, PSX etc), including the side-scrolling beat-em-up classic Teenage Mutant Ninja Turtles. This is complemented by some cool graphical prints on the box itself, an instruction manual, and the ‘purist tailored’ button-arrangement adjacent to the adorable screen. 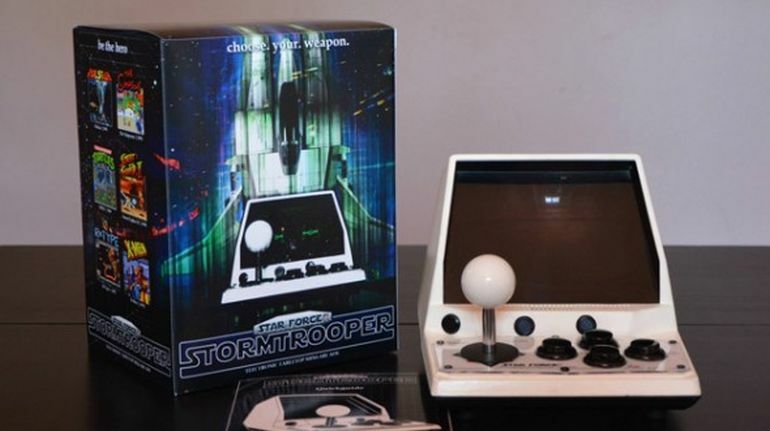 The STORMTROOPER gives you full arcade feedback with true microswitch Joystick and Buttons, a Raspberry Pi at its core, supporting all your favorite games, a sweet little QVGA screen (320×240): magnified, blasting speaker, a rechargeable battery lasting 5+ hours, USB for your own Megadrive controllers, Ethernet, HDMI, the whole shebang. Now, in case you wondering, the Star Force Pi: STORMTROOPER is STILL NOT up for sale. So for now, we can kiss our goodbyes to those sumptuous looking box-arts that are only there for the promotion. But on the brighter side, VoxMachina has admitted that if enough people get interested in the project, the creators could look forward to a Kickstarter campaign. For more info, you can take a gander their Facebook page.